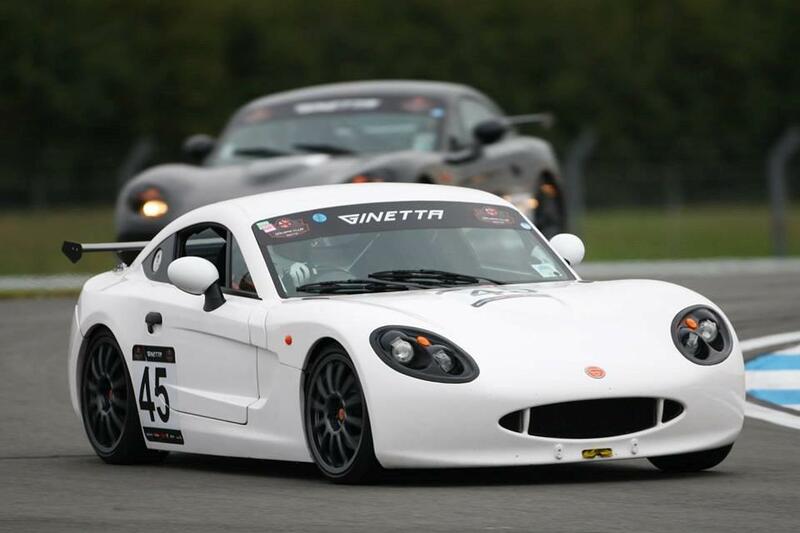 A Cardiff business man has made a breath taking debut in the inaugural Ginetta Racing Driver’s Club series. Charles Ferguson, the 48 year old director of British Soil Ltd in Cardiff has always enjoyed cars and was persuaded to sign up the race series by his two sons, Stuart (12) and Oscar (11) who are successful kart racers from Llandow Kart Club. Both boys have their eye on the exciting Ginetta Junior race series for 14-17 year olds and which runs on the same dates as the British Touring Car Championship. Ginetta is a British owned car manufacturer based in Leeds. It designed the Ginetta Racing Driver’s Club for complete novices. Taking the driver through the training necessary to pass their race licence test through to competitive racing at some of the best UK tracks – Rockingham GP, Silverstone GP, Snetterton 300 and Donington GP – alongside the prestigious British GT series. Charles, who lives in the Vale of Glamorgan, has never raced before and has only done a couple of tracks days in his youth. Ginetta arranged track time with race instructors, the ARDS test was passed and he had his first taste of his brand new Ginetta G40 Club Car at the inaugural race at Rockingham. Charles was the only Welshman on the twelve strong grid. 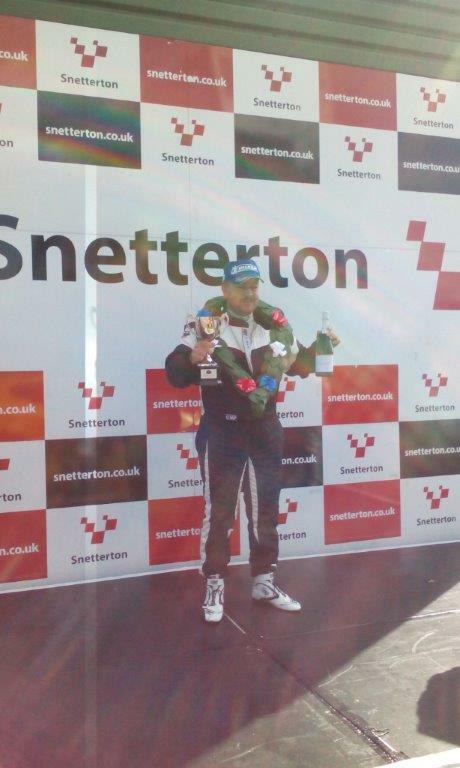 He won both races of the weekend, even receiving a compliment on the driving from the British GT Twitter feed! The second race weekend was the jewel in the crown for the rookie driver – Silverstone full GP circuit. Again, Charles won both his races, with stiff competition from Scott Mitchell, a former kart champion and editor at Autosport magazine and Coronation Street actor, Tony Hirst. 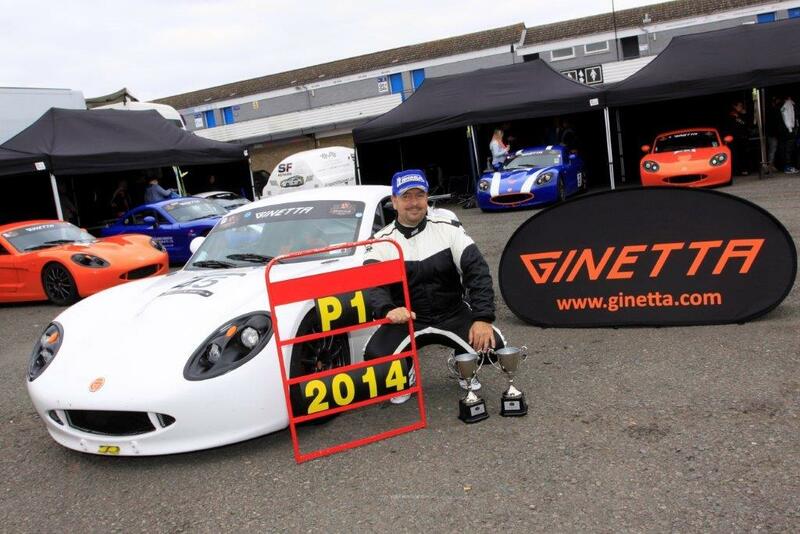 During the summer break, Charles drove the Snetterton 200 track with help from Cowbridge based Ginetta GT5 driver Gary Simms. When the series met again at the end of August at Snetterton 300, this time with a live race on MotorsTV alongside the BARC series, Charles was ready and following two thrilling races, Charles once again came out on top – even having never driven the full Snetterton 300 track. The final race of the season was Donington Park. Again, Charles’s first time on this track was the qualifying session. Taking it steady for the first few laps, under the instruction of Cardiff Lamborghini race driver, Jake Rattenbury (20), Charles banged in the fastest lap to qualify on pole – and won both races and the Championship with a clean sweep and a clutch of trophies! A type one diabetic since he was 20, Charles has managed his diabetes meticulously over the years under the guidance of Dr Alan Rees at the University Hospital Cardiff. Following a strict medical for the MSA (Motor Sport Association), followed by a medical with their diabetes specialist in London, his National B licence was granted and he has now gained his National A licence. Next year he plans to race in the upgraded GRDC series, alongside the Ginetta GT5 series which is televised. Having tested a Ginetta GT4 car at Spa in September, maybe British GT or Ginetta GT4 Supercup with be calling this indomitable racer! A clear example that it is never too late to follow your dream, nor that diabetes, if managed properly is a barrier to success.